Our AGM was a happy occasion with visiting EGV President Ann Denmead presenting badges to our new committee members (who just happen to be the same as our old committee). 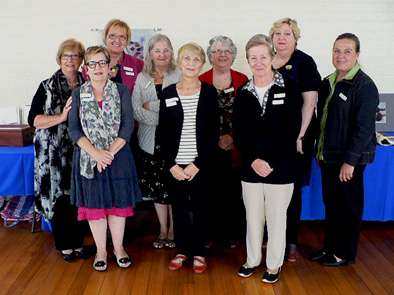 We also welcomed Carolyn Paulin, Country Liason Officer and Bev Lane, Education Coordinator to our celebrations. This entry was posted in Meetings and tagged AGM, Committee, Meetings by EGV Geelong Admin. Bookmark the permalink.